In a previous post the causes of the Yuba River flooding event on January 31st and Febreuar 1st of this year at Donner Summit were discussed. In the aftermath, the damage from the flooding event is now evident. Due to the intense storm surge coupled with the diversion of the river by snow and ice dams, the river channel has been scoured by the flood waters. Soda Springs Rd and the Yuba River bridge only received some light damage but the shoulder on the west side of the road was severely washed out. As the before and after photos show, about 2-3 ft of soil on the shoulder was washed down the Yuba. 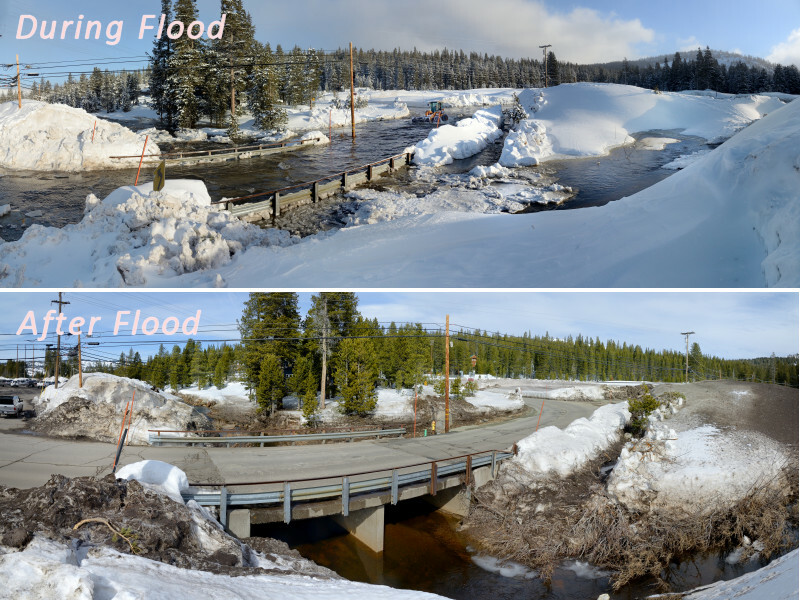 It seems pretty obvious that the current configuration of the road and bridge coupled with the snow removal practices can not handle the flooding conditions that the Yuba is prone to in this area. The recent heavy rain event only brought 4-5 inches of rain to the area. Granted it was in a very short period, but there is the potential for much heavier winter rain events. In 1997 and 1982 the rain amounts were much higher over a longer period of time and the river flow levels much higher. The bridge was blocked for 3-4 days in those events. These events have come to the area every 10-20 years and some predictions are that they may be more frequent in the future. 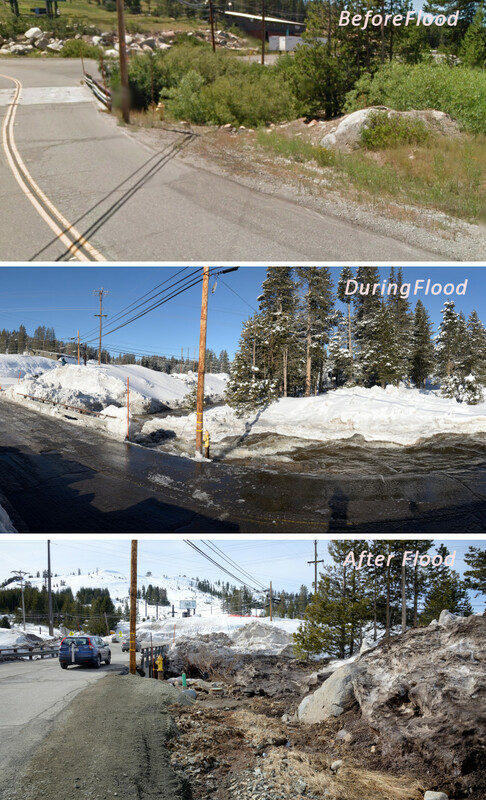 Considering that Soda Springs Rd is the only egress for the 800+ cabins in the Serene Lakes community, it seems time for Nevada County to make improvements to the existing bridge to increase it’s capacity to handle flood conditions. 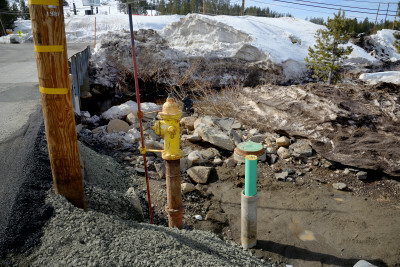 It also seems prudent that the Soda Springs Ski Resort change their snow removal policies to keep the river channel as free of snow as possible. This event, while serious, should be a wake up call for the area to better prepare for an event that could be much larger and potentially much more dangerous.